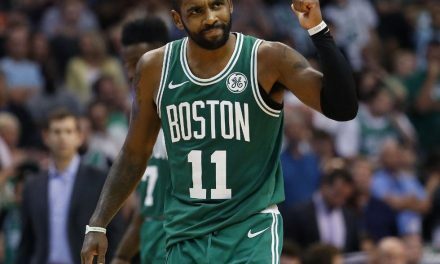 Brad Stevens has admitted that he has set the bar higher for Jaylen, because he knows he can take it. 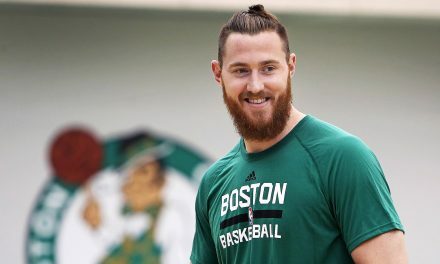 Brad recognizes Jaylen’s desire to be the guy to guard the best player on the other team every game, and recognizes his growth mindset and his never quit attitude. There is no question that Jaylen Brown has loads of potential. As a lengthy wing, standing in at 6’7” 230 pounds with a 7′ wingspan and elite athleticism, all the physical traits needed to star in the league are there. Coming into the league as the Renaissance man of his draft class, Jaylen brings in a fresh perspective and offers intellectual takes on complex world issues as a 21 year old. He’s known as a straight forward guy who seeks nothing more on the basketball court than to improve. Improve every single day, no days off. So who’s to say he can’t be better than a guy like Kawhi Leonard? Physically they are nearly identical. 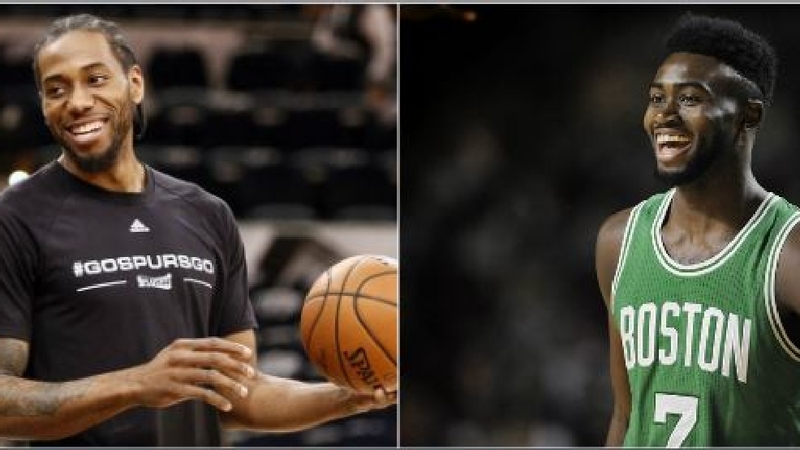 They both pride themselves on their defense, and both have a tendency to light it up in bunches, bringing to the table efficient offensive playstyles. They possess elite athleticism, but in different ways. Jaylen comes at opponents with high-flying vertical explosiveness, whereas Kawhi’s lateral movement is insane. The dude just explodes from side to side. Both belong to a winning environment on playoff caliber teams. To give credit where credit is due- Kawhi Leonard is widely considered to be one of the top 5-10 players in the NBA. A two-time DPOY award winner and MVP finalist just a year ago, the guy is arguably the top two-way player in the game today. So why do I think Jaylen Brown has the ability to not only catch up with, but overtake Kawhi and take his place among the ranks of the NBA’s best? These stats emphasize on Jaylen and Kawhi’s second season numbers. It is easy to see how wildly similar on the offensive part of the floor these two are. Jaylen carried the load often for the Celtics this year. In times when Kyrie was out, he notched 14.5 points a game in nearly 31 minutes of floor time. Though his free throw percentage needs a bit of work, all other facets of his game on this side of the court are comparable, or better, than Kawhi’s. This holds true even as we dip into Leonard’s year three numbers. Jaylen Brown had a PER of 13.69 this season, with a true shooting percentage of .562 and a VA of 102.4. Comparatively, during the ‘12-13’ season, Kawhi Leonard produced a PER of 16.46, true shooting percentage of .592, and a VA of 160.9. Jaylen showcased an offensive rating of 107.4 during his second season, whereas Kawhi produced a rating of 106.9 during his sophomore campaign. Very similar numbers considering their usage rates were within six points of one another. 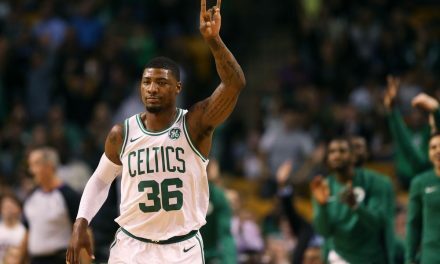 Jaylen more than doubled his point total from year one to two, added five percentage points to his three point shot, and dished out twice as many assists. He has already started taking leaps at such a young age. Blessed with elite vertical and downhill explosiveness and a very respectable three point shot hovering around 40%, once he fills out he will have the physical ability to better compose himself at the rim on attacks at the basket, as his effective field goal percentage will rise greatly. Most importantly, as his confidence grows, he will be a formidable offensive player in this league. One that could even be very nearly impossible to stop. Based on where Kawhi was by his second year, it is safe to say that on the offensive side of the ball Jaylen Brown compares well with Kawhi Leonard. Brown has potential to be an even greater threat than him. Let’s take a look into the defensive side of the ball, an area that Kawhi has certainly made a name for himself during his run of two straight DPOY awards. Brown’s numbers are from the 2017-18 season, whereas Leonard’s numbers are from the 2012-13 season (his second). The big number to look at here is the DEFRTG, where Kawhi held a better rating by 3.5 percentage points. Both guys were routinely assigned the toughest player on the opposition, and in turn both performed well with their assignments all season long. 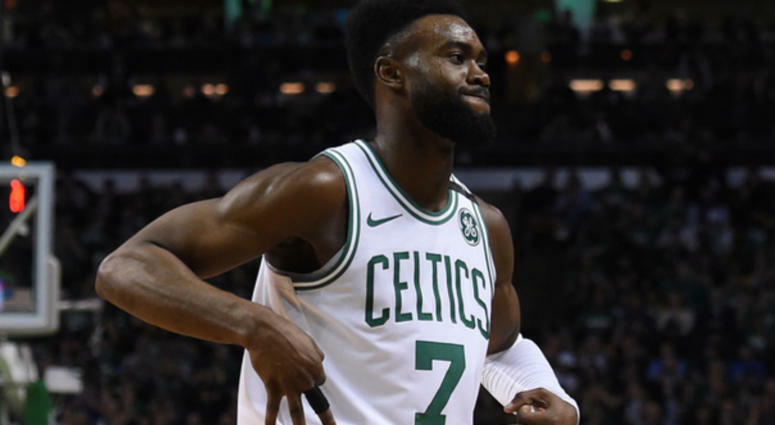 Jaylen has already proven himself as a formidable defender against some of the league’s best. Earlier this season the Golden State Warriors came to town looking to put an end to the Celtics’ hot start to the season. Jaylen Brown had other plans for them. In the win, the Celtics held the Warriors to 62.1 points per 100 possessions when Brown matched up against Kevin Durant. On the 29 possessions the two faced off, Durant was held to just seven points. Utilizing his super athleticism, Brown is able to fight around screens and switch on and off opponents with ease. He was doing these things easier and much more effectively than most players. Even as talented as Kawhi Leonard is, he does not possess even close to the same level of raw athletic ability that Brown brings to the table. At 21 years old, Jaylen is still growing into his frame. Once he becomes stronger, he will be better able to body up against his opposition. In turn his defensive rating will assuredly get even better. His elite athleticism and lengthy body will grant him the ability to guard just about anyone in the 1-4 range. His high basketball IQ and well-developed understanding of defensive schemes will certainly serve him well moving forward. The potential is there for a defensive rating in the mid 90s, just as Kawhi had during his two best years defensively. Jaylen looks up to Kawhi, and has spoken in the past about his appreciation for the way Leonard plays on the defensive side of the ball. He likes how Kawhi is the type of guy that would rather let his game do the talking then spend time trash talking on the court. Jaylen himself approaches the game in a similar way. He will only continue to feed off of what Kawhi does and learn from him. With limitless potential and a dash of optimism, only time will tell if he can make the leap into the upper level of the NBA’s talent pool. 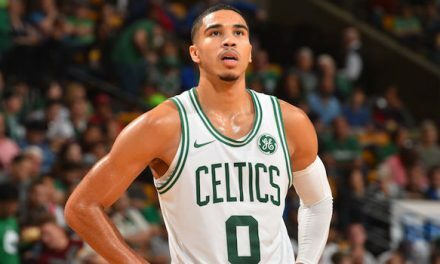 Should the Celtics Trade Jayson Tatum?